Hidden at the edge of southern Greece is a temple largely neglected by those flocking to Athens. 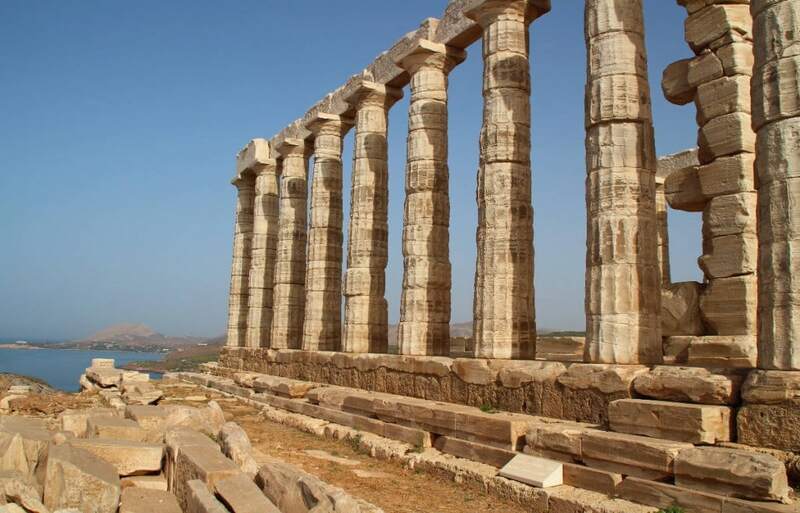 With a car, and similarly by bus, you can make it to the Temple of Poseidon on Cape Sounion from Athens in about an hour and fifteen minutes. We rented from Avance Rental Car in Athens. The company is centrally located and makes pick-up and drop-off easy. In hopes that Avance would allow us to pick up the car early to save time in the morning, we tried walking in the night before we were supposed to pick up the car. Some companies are amazing, and Avance is one of them. They let us take the car that night for no extra charge! If you leave early enough with a car you can beat the tourist buses that make it down to the temple. What you will find is a more intact version of the Temple of the Olympian Zeus in Athens. 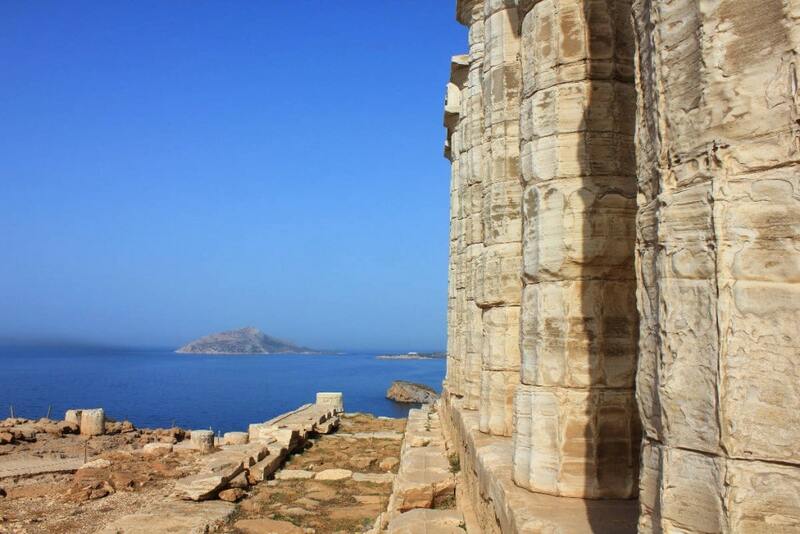 The Temple of Poseidon is not as large as the one in Athens once was, but it remains much better preserved. The temple also overlooks the ocean and we heard that views of the sunset from the temple are spectacular. From the Temple of Poseidon we made our way north, past Athens and to Delphi. 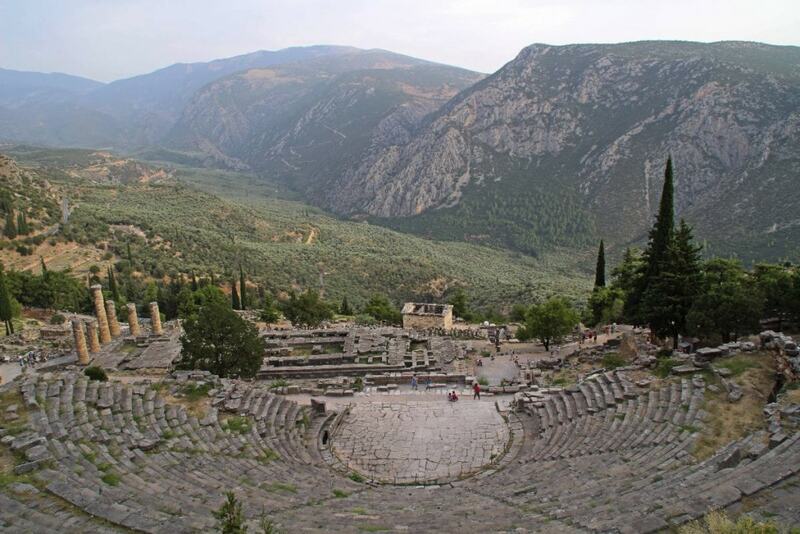 The UNESCO World Heritage Site of Delphi, home of the famous Oracle. 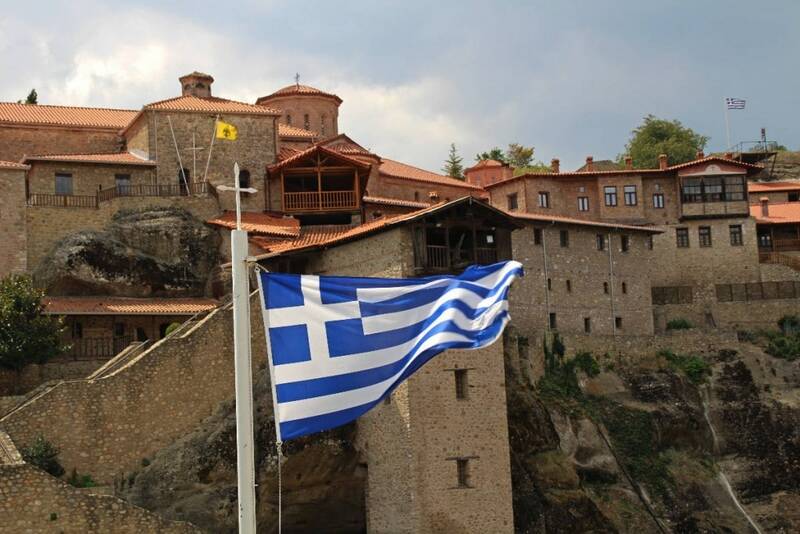 is not your classic tourist destination when people think about Greece. 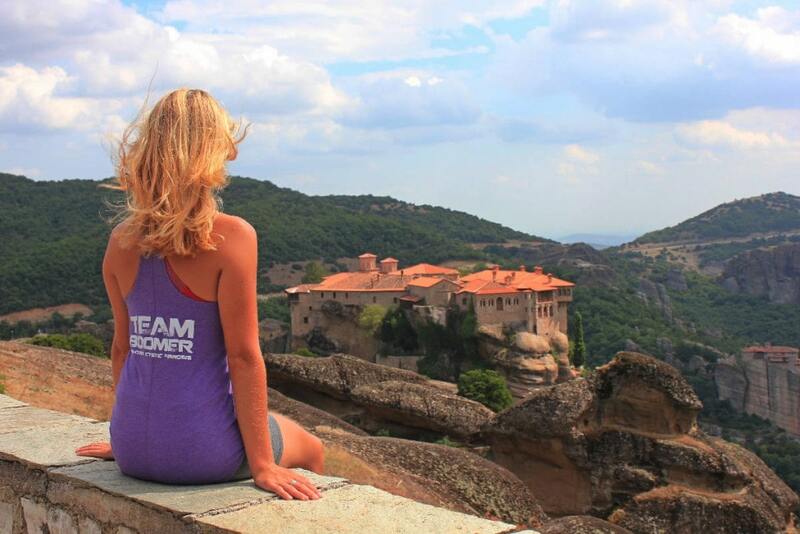 People tend to think of the Greek Islands or Athens and its Acropolis. Less popular is Delphi, about two hours north of Athens. 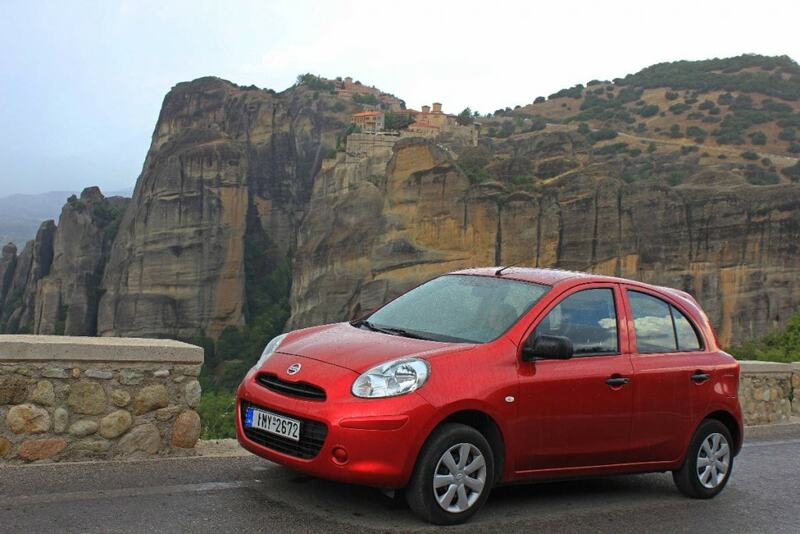 Our Nissan, rented from Avance, got us to Delphi from the Temple of Poseidon in about three hours through largely agricultural countryside. 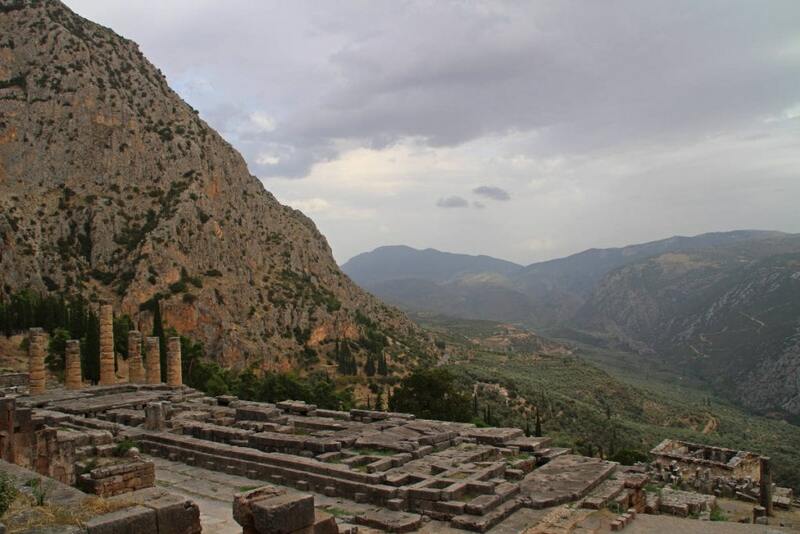 Delphi lies in a mountainous area that overlooks a magnificent valley. 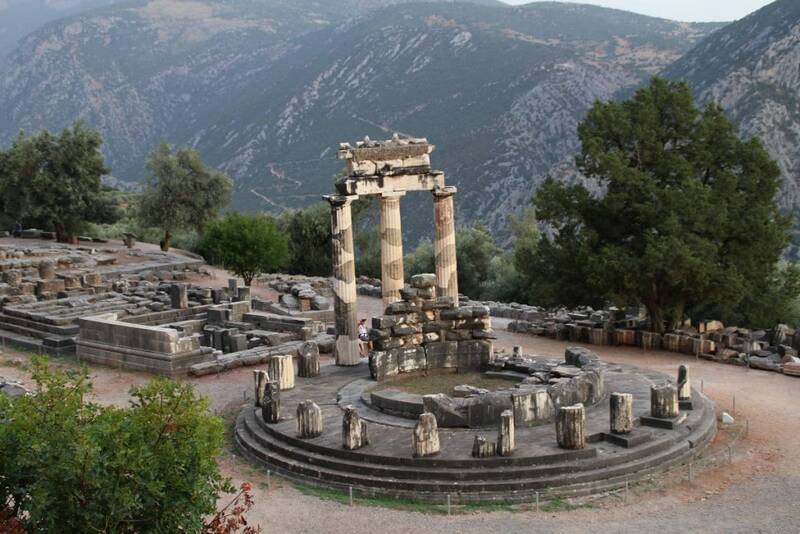 Driving up to Delphi you will pass by the archeological site; from the road, however, you will most likely fail to notice how impressive it is and will only realize its monumental scope once you enter through the gate. Once you start to wander, you will see just how large this city once was. Delphi was very culturally important and relevant in Greece during its Golden Age. What remains in Delphi are impressive artifacts such as the Athenian Treasury, Temple of Apollo, Theater of Delphi, and of course, Tholos, better known as the Sanctuary of Athena. 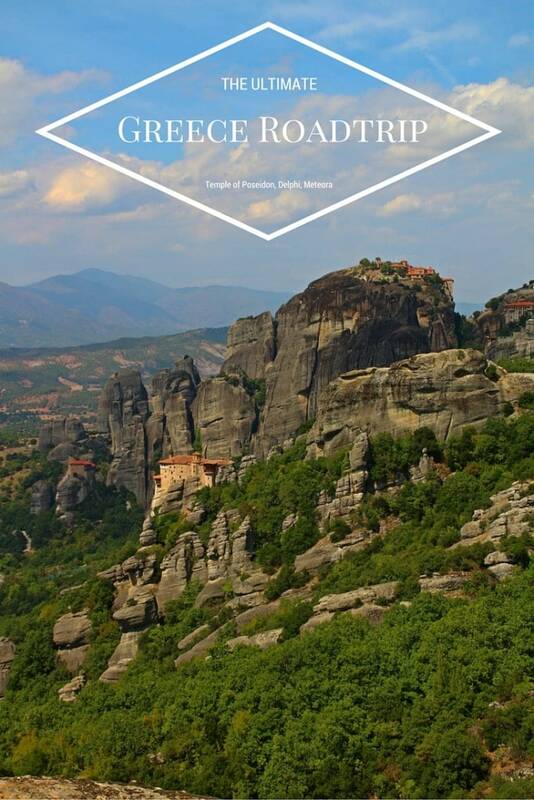 The Sanctuary of Athena is a small walk from the main entrance and is absolutely worth the detour; it is your iconic image of an ancient Greek shrine to the gods. We returned to Kastalia Boutique Hotel at sunset, not having had time to visit the museum adjacent to the archeological site. 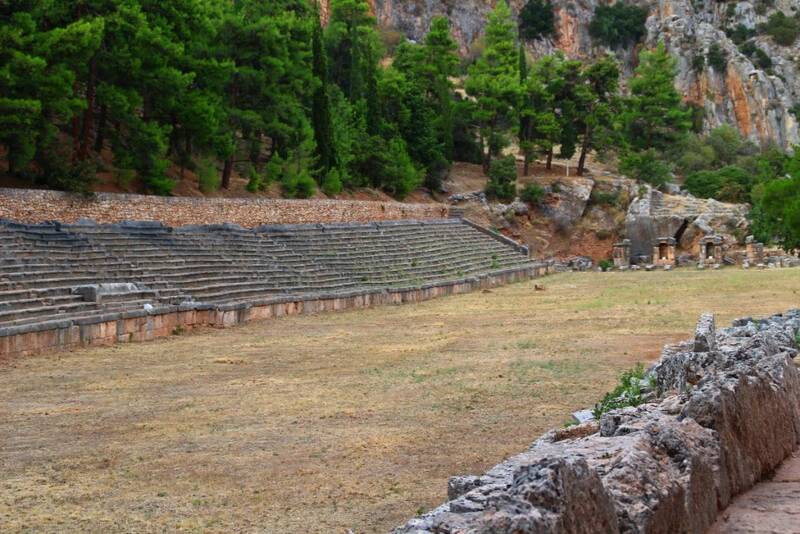 If you want fully to explore Delphi in a relaxed manner, you should allow an entire day. Bright and early the next morning, we left for our three hour drive to Meteora, another UNESCO World Heritage Site, which is very different from the rest of Greece. 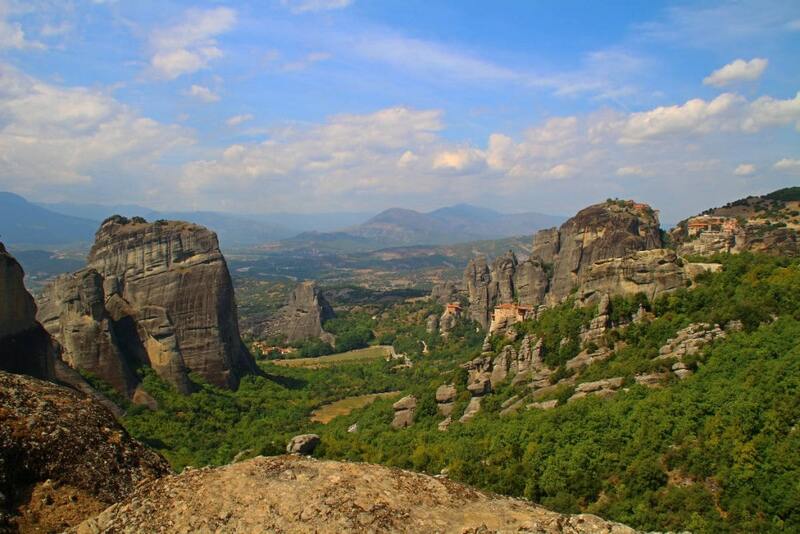 Meteora contains over twenty monasteries, meticulously constructed on mountaintops. Bright orange-tiled roofs cover stone buildings that look like small forts. 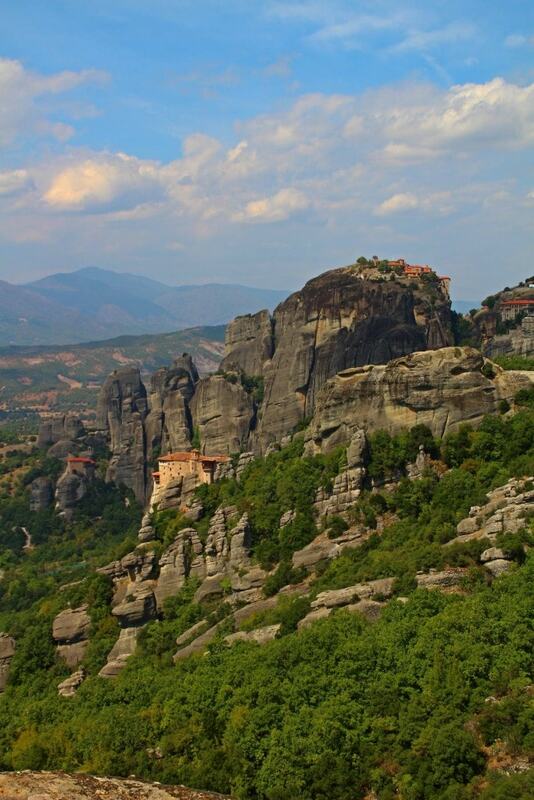 As there is a small fee to visit each monastery, and they are all very similar, you really only need to visit one or two. With our rental car from Avance we made our way back to Delphi for the night and then left for Athens the next morning to return the car. Avance was nothing but professional, and provided us with a fantastic car for our jam-packed road trip! 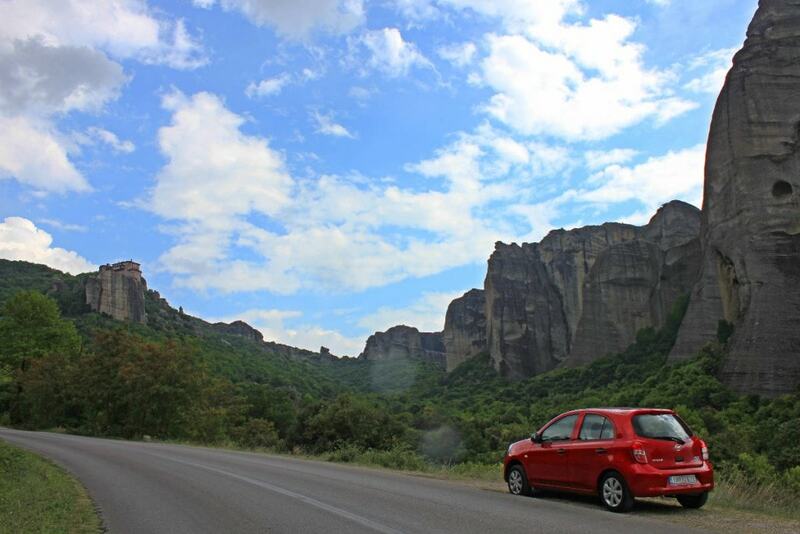 Definitely check them out if you're considering renting a car in Greece. **While I received a discount on the car rental, all opinions, as usual, are my own. 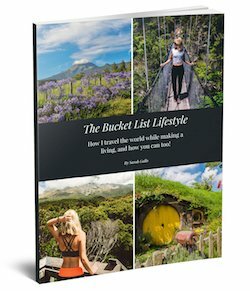 When I read your comment I feel of joyful because in this blog have the best idea for hotels in 2018. Thanks and well wishes of your upcoming blogs.